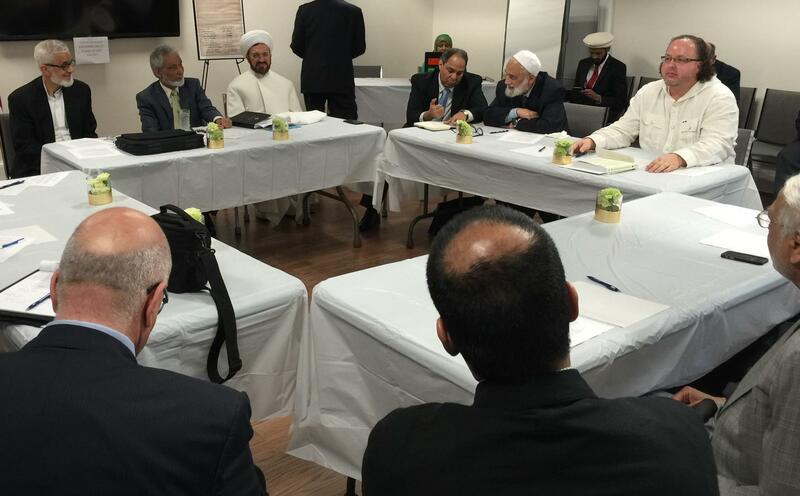 SHAFAQNA – An intrafaith leadership summit was held in Washington, DC, on April 15, 2016. Organized by the Islamic Society of North America, the gathering included Dr. Sayyid Syeed from ISNA, Dr. John Andrew Morrow from the Covenants Initiative, Sayyid Mohammad Baqir Kashmiri from IMAM, M.J. Khan from the Islamic Society of Greater Houston, and Imam Mohammad Elahi from the Islamic House of Wisdom, among various other Sunni and Shiite community leaders. The summit, which was witnessed by prominent Jewish and Christian leaders, was scheduled to last only two hours. However, with the exception of congregational Friday prayers held in the Capitol Building, the group spent the entire day in fruitful discussion and dialogue. 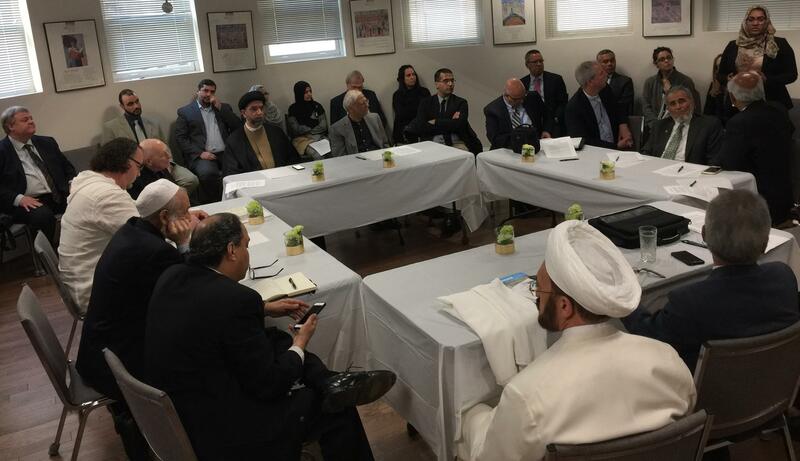 Dr. Sayyid Syeed, ISNA’s National Director for the Office for Interfaith & Community Alliances for the Islamic Society of North America, reiterated his organization’s commitment to Islamic unity. He observed that ISNA has included Shiites in top leadership positions in the past. Syeed also stipulated that ISNA has never asked its members what kind of Muslims they were and that the organization has always been open to Sunnis and Shiites, Sushis, a comical combination of both, and those who simply identify as non-sectarian Muslims. He even joked that ISNA should now change its name to ISNA ASHARI, to acknowledge the presence of Twelver Shiites in its ranks. Reports of sectarian tension overseas, particularly in the aftermath of the American invasion of Iraq, have prompted the Muslim American leadership to speak out against communal divisions and all sectarian violence. Such expressions of sectarianism, if unchecked, may add fuel to the fire, engulfing the Community in historical grievances that magnify theological differences and minimize the common “Pillars of Faith” on which all Muslims agree, irrespective of their schools of thought (madhhab). As Muslim Americans who live and struggle for a dignified existence for Islam and Muslims in a spirit of peaceful coexistence and respect for all, we believe that the practical challenges of the future supersede the ideological differences of the past. Moreover, in recognition of our communal duty to promote goodness and peace, we remain eager to offer any help we can and to join hands with all those who wish well for the Family of Believers (Ummah) in stopping the senseless, inhumane violence in Iraq and elsewhere in the world. In our view, we must begin by preventing such tragic sectarianism from spilling over into our Muslim communities in the United States. As a first step toward this goal, we agree to live in peace and respect each other in accordance with a “Muslim Code of Honor.” We remain committed to this Muslim Code of Honor not only during times of agreement and ease but, more importantly, when faced with contentious issues and in times of mutual disagreement. No group or individual shall use, spread or tolerate the rhetoric of branding others as nonbelievers (takfir) against anyone who believes in the oneness and supremacy of God, the prophethood of Muhammad ibn ‘Abd Allah, peace be upon him, as the last of God’s messengers, and in the reality of the Last Day, agreeing on the authenticity of the Holy Qur’an and facing Makkah (qibla) in daily prayers. Muslims should respect one another and the people, places and events that any Muslim group or individual holds in esteem, even when they disagree about the relative importance of such people and events. Such disagreements, moreover, should only be expressed in a respectful manner, avoiding inflammatory language and insulting verbiage. As to differences in the performance of worship (ibadat), we agree to respect the rules in effect and the authority of the leadership that endorses them in a particular mosque or religious institution where they are the norm. We agree that steps should be taken to protect the general Muslim population in America from the distribution of divisive, inflammatory or irrelevant literature, primarily from overseas, in order to maintain the integrity and protect the future of Islam in America and curb the spread of harmful and misleading propaganda. 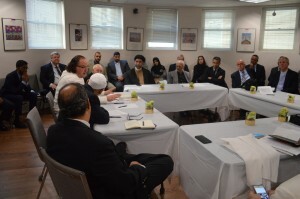 As a gesture of its commitment to taqrib or rapprochement between the various schools of thought and law in Islam, Dr. Sayyid mentioned that ISNA would demand that all of its mosques place a sign in a prominent place stipulating that the places of prayer in question were inclusive and welcoming of all Muslims: Sunni, Shiite, and Sufi. Dr. Sayyid Syeed closed the summit with assurances that such Sunni-Shiite meetings will continue to be held regularly and that intrafaith dialogue should be perpetual.